Young royalty and their dads enjoy a previous Princess Ball. 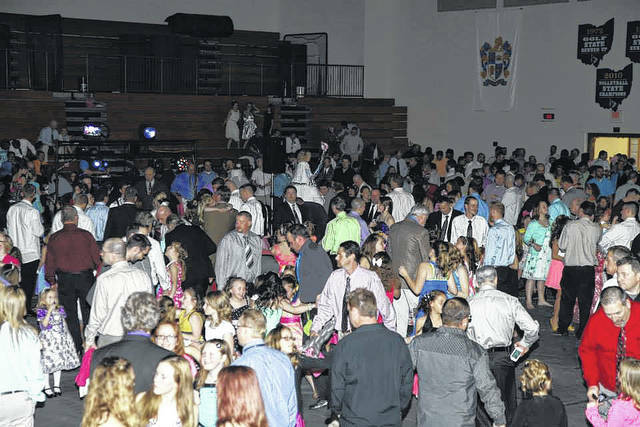 Gateway Arts Council’s popular father-daughter dance this year will be April 26. SIDNEY — Little girls who watch their older sisters get ready for the prom don’t have to feel envious this year. They will have their own dance to go to with the best date of all — their fathers or father figures. Gateway Arts Council will host the original Princess Ball, a father-daughter dance, April 26 in Lehman High School, 2400 St. Marys Ave., from 7 to 9 p.m. Tickets cost $10 for a father with one daughter or $15 for a father with more than one daughter. They are for sale at Ron & Nita’s, Gateway Arts Council office, www.gatewayartscouncil.org and at the door. Disc jockeys Scott & Kim Oglesbee will provide music. The evening includes refreshments, photos for $5, princess-themed activities and a raffle of special items, including a grand prize.